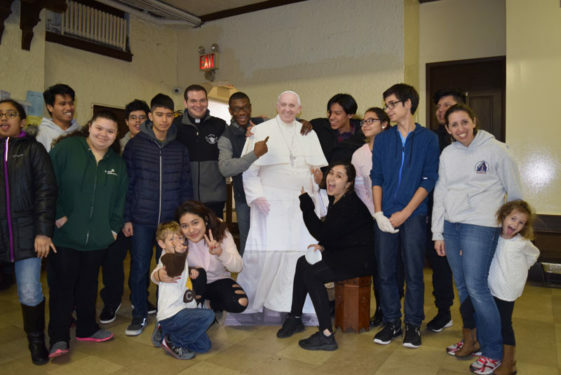 The youth group from Incarnation parish, Queens Village, has one special goal in mind come January 2019: attending World Youth Day in Panama City, Panama. 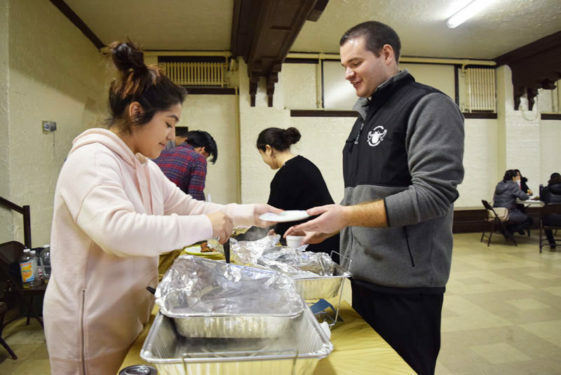 To help bring that to fruition, Father Christopher Bethge, parochial vicar, and Youth Minister Rose Ruesing are coming up with creative ways for the teens to offset the steep costs of the trip. 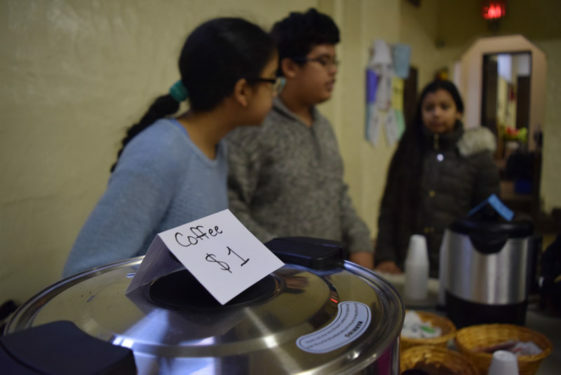 After the morning Masses Feb. 11, members of the youth group organized a food sale and sold homemade cupcakes, muffins, bagels, coffee and juice. 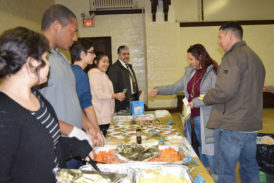 During the noon Mass, parishioners from the Spanish Mass had a more lunch-friendly menu with arroz con pollo or chicken and rice, salad and tacos. In a win-win situation, parishioners at Incarnation parish, Queens Village, satisfy their sweet-tooth cravings while helping the youth group with their World Youth Day 2019 costs. 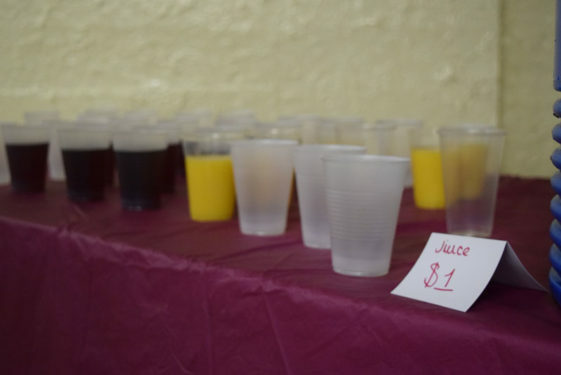 That’s because by September, each person is responsible for raising more than $3,000 in order to attend the event. According to the third-party vendor coordinating the pilgrimage, Peter’s Way Tours, the price tag encompasses a packaged deal including round-trip airfare, daily buffet breakfast, a farewell dinner with Bishop Nicholas DiMarzio, tour services, gratuities, customized travel supplies, departure taxes and hotel accommodations in Panama City, where the five-day event will take place. 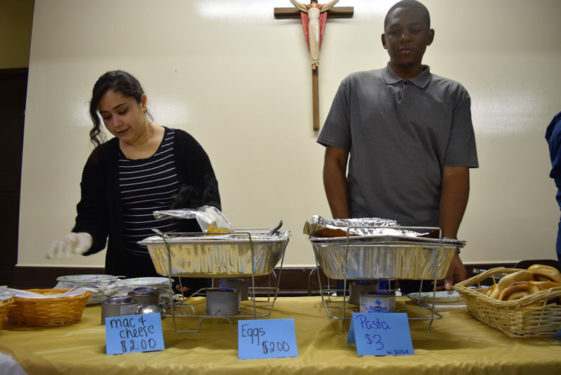 Joining on the international trip will be about 150 pilgrims from the Diocese of Brooklyn. 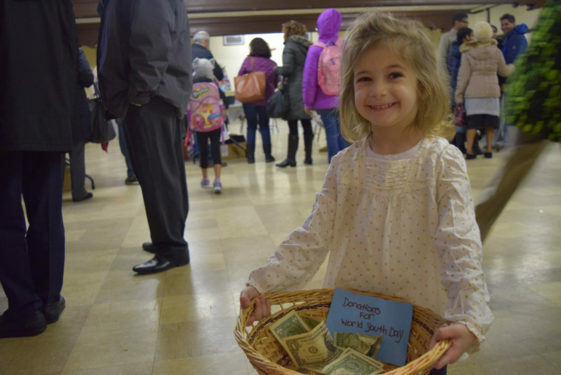 “Many pilgrims will be fundraising to help make this pilgrimage a possibility,” said diocesan Youth and Young Adult Faith Formation director Paul Morisi. 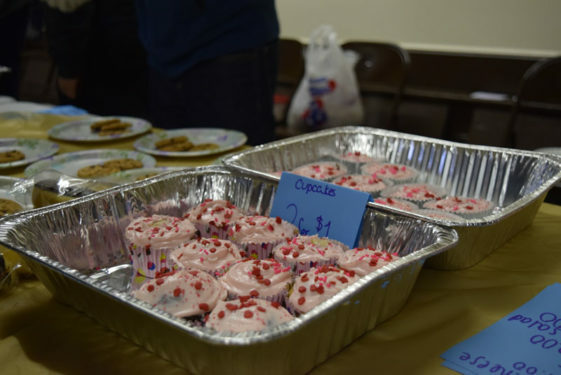 “These fundraisers range from selling T-shirts with the parish name on it, to bake and international food sales to trivia nights. 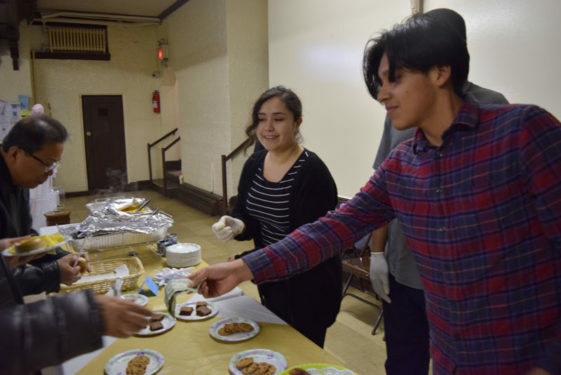 While Incarnation will be sending only six pilgrims and two chaperones to the capital of the Central American country, that’s not an adequate reflection of the growing size of the youth group’s love for one another. 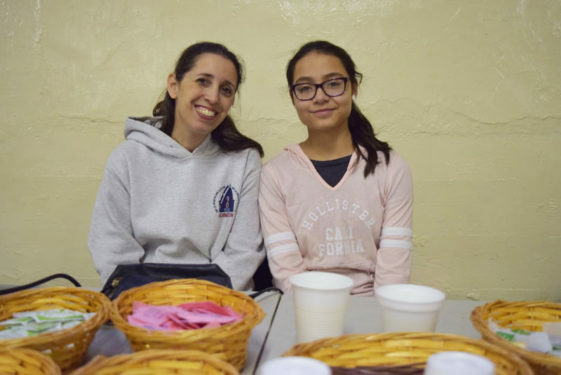 Seventh-grader Ariadna Fuentes won’t be able to attend the Panamanian pilgrimage due to age restrictions – she’s below the 16 to 35 year-old suggested age range. But that didn’t stop her from sharing her time and talent with those she considers her good friends. The six pilgrims and two chaperones, including Father Christopher Bethge, from Incarnation parish will be heading to Panama City next year. They will be working together and bonding throughout the year as they journey together on the road to Panama. Leading the group as they mixed their small works of charity and flavors of joy was Father Bethge. 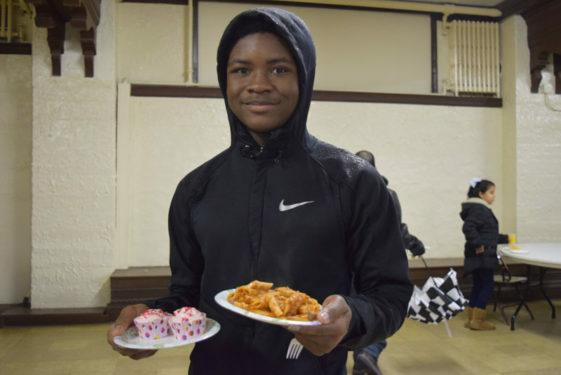 The young priest had his heart set on attending World Youth Day in Kraków, Poland, but that idea didn’t fall into place. 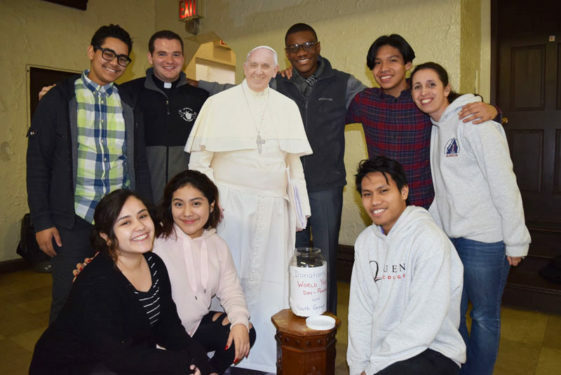 So when Pope Francis announced that the next host country would be Panama, he decided to make the idea a reality, especially for his parish’s youth group. The creative initiatives began when the parish sold sweatshirts last year to commemorate the parish’s 90th anniversary. 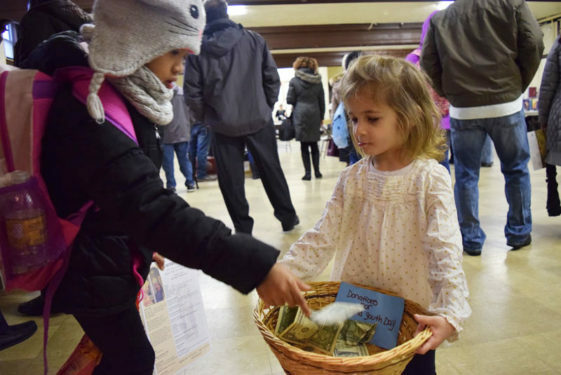 That’s when a portion of the proceeds from the clothing sale became the first monetary contributions to the World Youth Day venture. 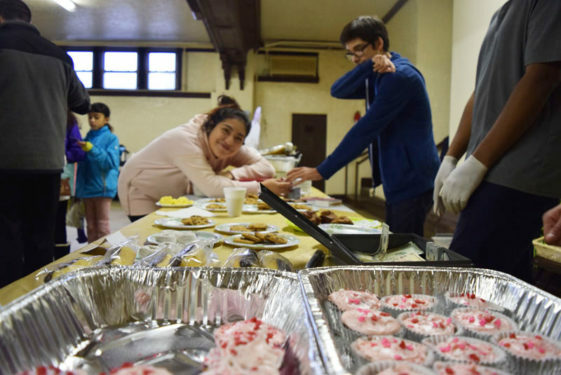 As the morning drizzle slowly became afternoon rain showers, the teens’ positive attitudes didn’t grow lukewarm despite the hours they spent together in the church’s basement serving food and drinks to the community. 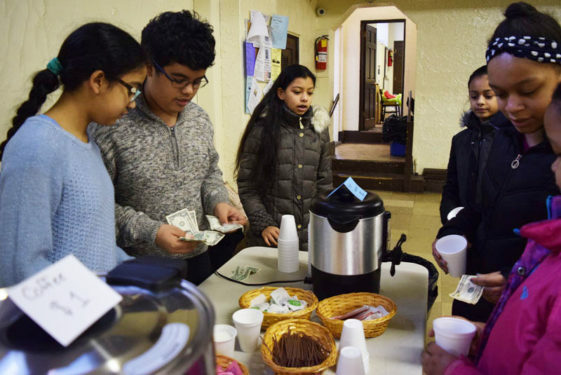 High school sophomore Kevin Gomez explained that the fundraising was fueled by a deeper purpose. 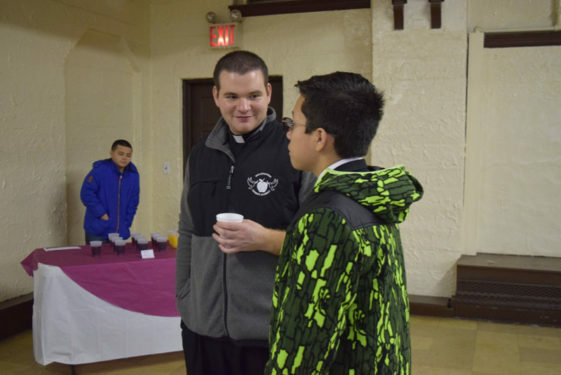 “I would say it’s vacation because we’re all family members here and so we all will go together, but it’s also a pilgrimage,” said Gomez, who attends St. Francis Prep, Fresh Meadows. 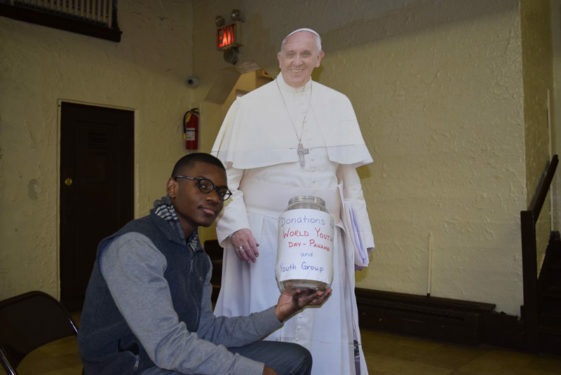 At the end of the fundraising finish line would be a chance for the diocesan youth to live their faith out loud, united in Christ with millions of other young Catholics in solidarity with Pope Francis, priests, religious brothers and sisters.